New Years is a time when many begin to reevaluate their lives and think about where they are going in the future. For some, this brings up questions about whether they want to stay in their marriage or whether they want to explore the possibility of divorce.If you are thinking about potentially putting an end to your marriage, it is important to get some basic information about what the divorce process entails. To help you get started on making an informed choice, our Highland divorce attorneys have answers to some of the key questions. These New Years divorce FAQs can give you a good starting point in deciding whether divorce is right for you. You can get divorced in Indiana if you or your spouse is a resident and have lived in the state for at least three months prior to the divorce. To start the process, you or your spouse will need to file a Petition for Dissolution. After no less than 60 days, the court will enter a decree of divorce. Your divorce settlement should also be entered at the time of your divorce decree. Does there have to be a reason for the divorce? Indiana does not require that someone be at fault for the divorce, but there must be grounds for the divorce. Grounds for divorce can include an irretrievable breakdown of the marriage. In some cases, however, someone is responsible or does something to prompt the divorce. In these instances, grounds can be included. You do not have to go to court in every divorce. If you agree on a provisional order, if you and your spouse both complete divorce education and if you can come to an out-of-court settlement agreement that resolves all of your issues, then you can get a waiver to avoid appearing in court. How do Indiana courts divide property? Indiana divides property equitably or fairly. It does not matter whose name the property is when Indiana courts decide how to divide property. Courts will look at the contributions that each party made to the marriage, as well as the party’s income, where the property came from (whether it was inherited, etc) and the party’s behavior with regards to marital funds when deciding how property is divided. It is always best if you and your spouse can answer this question on your own and come to an agreement outside of court. You can even get help from a mediator to come to a solution. Resolving the custody dispute on your own is best so you can decide what works for your family. If you cannot resolve the custody agreement on your own, then the courts will decide the issue for you by considering what is in the best interests of the child. 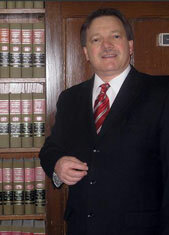 You should always have a lawyer when going through an Indiana divorce and your spouse should have a separate attorney. Your respective attorneys will negotiate a settlement, advise you of your rights, help protect your rights and argue for you in a litigated divorce should it become necessary to ask a court to decide issues of property or support. Steps to Take If Divorce is part of Your 2013 Plans, Indiana Injury and Family Lawyer Blog January 4, 2013.